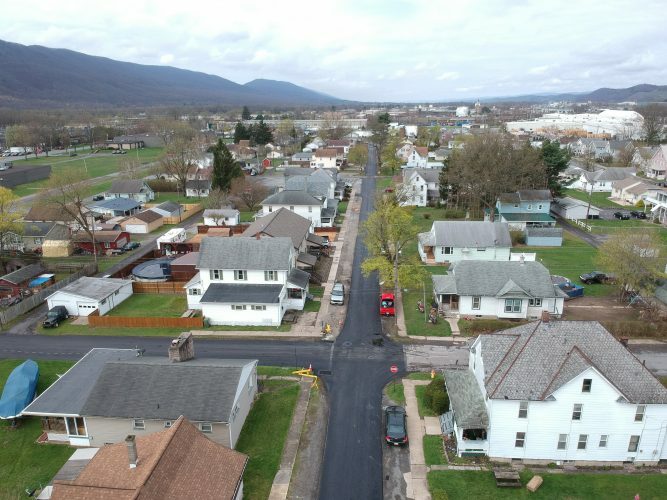 The Lycoming County Water and Sewer Authority formalized its relationship with Franklin Township Wednesday in the form of an agreement documenting the authority helping the township to “meander through” the process of constructing the Lairdsville sanitary sewer system, said Christine Weigle, executive director of the authority. The township intends to maintain ownership of the system and has not yet announced plans for what entity will operate it, she said. Thus far, the authority has mentored the township, aiding in the final design, construction, financing, administration and management through start up of operations, Weigle said. “This is an excellent example where our resources are available to assist the township in navigating the complexities of financing, planning and construction through to the start up of a sanitary sewer system,” added Victor Marquardt, an authority member and Franklin Township supervisor. In another matter, the board welcomed new member William Henry, a Mifflin Manor resident who filled Michael Miller’s recently vacated seat. Henry works for First Quality, has a mechanical engineering background and serves on a number of other boards in the county, Weigle said. His term is set to expire Jan. 1, 2021. Due to Miller’s absence, the role of treasurer also opened up. The board unanimously approved member Mike Philbin, formerly the assistant treasurer, to the position. Member Charles Hall also was unanimously approved as assistant treasurer. The next meeting will be held at 6 p.m. Oct. 3 at the authority’s main office, 380 Old Cement Road, Montoursville.